What a beautiful quilt you made with that wonderful bundle of Kona Solids. I may need to buy it when it's available. Isn't it great you were able to pull additional fabrics from your stash; I love when that happens. The pattern is just perfect and can't wait to see it. Thanks for the shoutout and always being an inspiration. 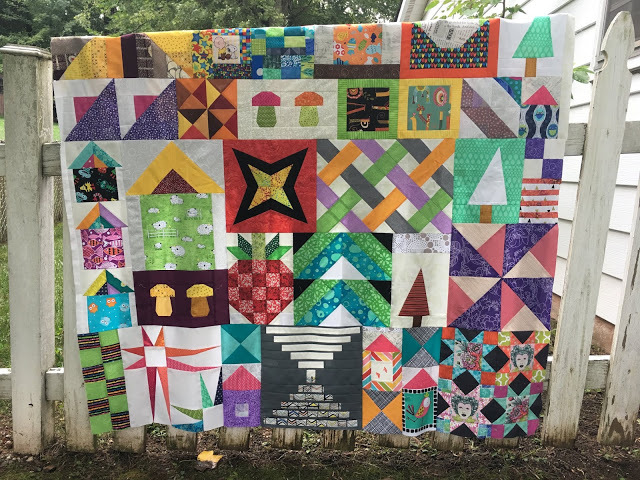 I wouldn't have made my Stacked Squares quilts if I hadn't seen the wonderful ones you made. thanks for the feature Kelly -- love those solids!! 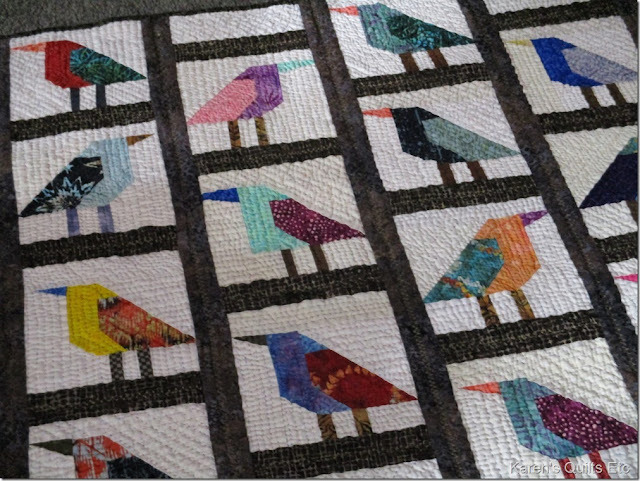 Love the warm vibes on your new quilt! 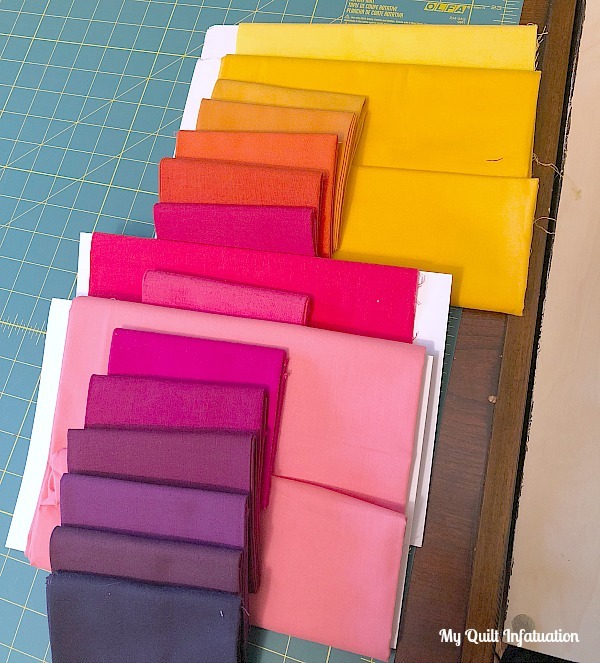 Yay for quilting mojo!!! I love these solid fabrics, and the quilt you made with them! Very pretty. Your quilt is beautiful, the fabrics were perfect. I love the way the white background makes the blocks really stand out. It is gorgeous! I love the colors...hot & fiery! You designed a beautiful quilt Kelly! Oh! 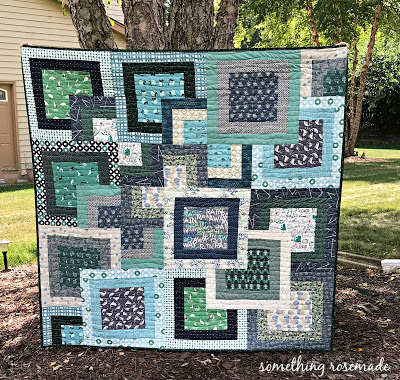 That quilt with those yummy solids is just gorgeous! It reminds me of a tropical sunset. So pretty! 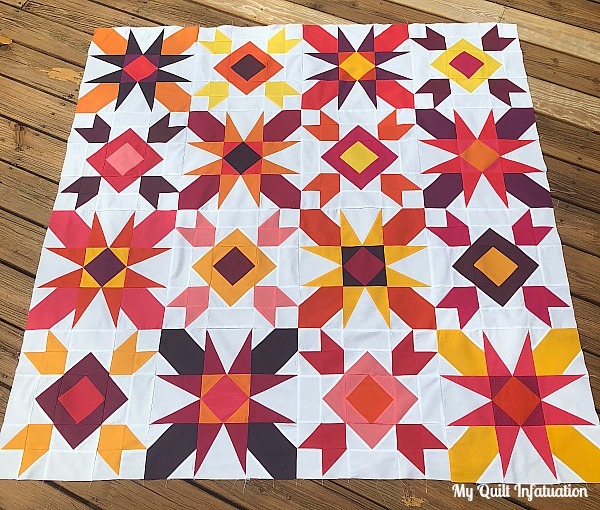 Your fiery solids quilt is so much fun, and the design is gorgeous. I am not a "solids" girl at all. I avoid them like the plague, but you have done something wonderful with them. 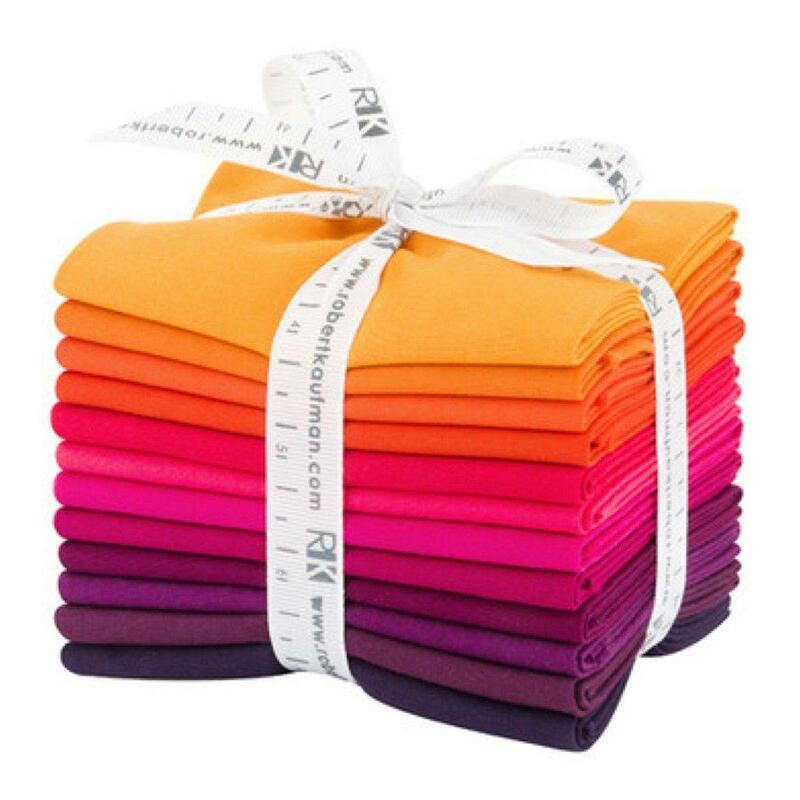 That is one gorgeous stack of kona solids! I love playing with kona. Your quilt turned out fabulous! Your quilt looks so good! I also tend to gravitate to cool colors, but it's so much fun to play with the warm colors sometimes. I'm always a little surprised at how much I enjoy them. That's a beautiful quilt. 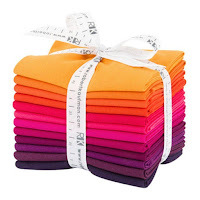 The Kona colors are awesome but your quilt brings them to life. 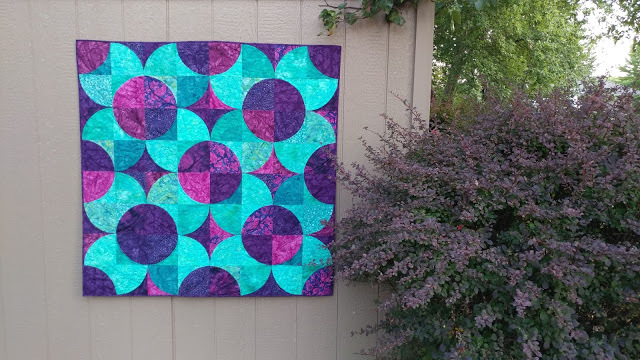 What a bright, cheery quilt - nicely done! Another pretty quilt. I am not sure how you do it all!